What makes our Amsterdam tour unique? What makes our Prague tour unique? What makes our Provence tour unique? 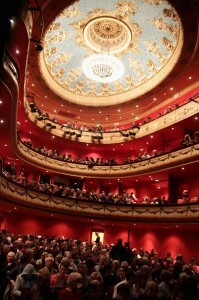 The intimate Jeu de Paume theater is an historic treasure. We’ll await you in the lobby of our hotel. Check in and make yourself comfortable, then meet for a leisurely introductory stroll through historic Aix before a marvelous welcome dinner (included) at Aix’s number one celebration restaurant, Le Formal. Seaside Explorations – the colorful fishing village of Cassis, and a visit by boat to the calanques, deep dramatic Mediterranean fjords, followed by a delicious lunch (included) by the sea. Return to Aix. 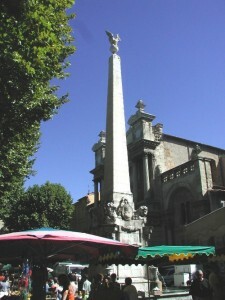 The lovely medieval village of St. Remy awaits us today, with its lively Wednesday market – more treasures to discover. Down one lane an accomplished watercolor artist often sets up a display, offering charming mementos of picturesque Provence. Then a leisurely, abundant, and delicious lunch (included) at one of our favorite country inns – the Bistro du Paradou, after which we’ll visit an award- winning olive oil mill in Maussane. Our music today? We’ll be surrounded by sight and sound in the Carrières de Lumières – this year’s spectacle is the Van Gogh Starry Night. Return to Aix – free evening. 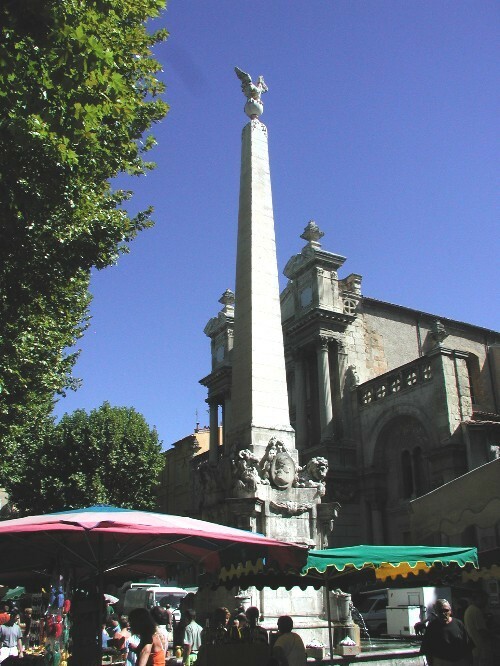 The Aix market awaits, packed with marvelous treasures, from flowers, to produce, to artisanal soaps and honeys, to striking clothing. After choosing our fill of goods, we will assemble a lunch from the market bounty, and enjoy a picnic together in a lovely garden. This evening we welcome you to our home in Aix – for an aperitif before walking to the Conservatoire for a suberb violin cello and piano concert. Today we’ll explore some of the “Most Beautiful Villages of France” in the Luberon, including colorful Roussillon and hilltop Bonnieux, where we’ll stop for lunch as we enjoy this lush and varied area of Provence. Back in Aix, we’ll complete our day with a taste of Morocco – dinner at Le Riad (included). Enjoy a leisurely morning, perhaps strolling through the Saturday market, before departing at 11:30 for a noon concert in the Jeu de Paume – This jewel box of a theater was originally a court where Louis XIV played handball! It is one of the last surviving examples of a XVIII century Italian-style theatre – a perfect place to enjoy a string quartet with the music of Beethoven and Debussy. We’ll fit in an early dinner before yet one more concert – orchestra and piano at the Grand Theatre. Enjoy a typical French lunch at a charming waterside brasserie in Isle-sur-la-Sorgue before our return to Aix, where you’ll have a free hour or two to enjoy the town. Our last supper – enjoy a leisurely meal of Provençal tastes with the artful cuisine of one of our favorite Aixoise restaurants (included). Music and Markets is an exceptional tour operator offering programs which allow our guests to attend premiere musical events in Europe hosted and guided by our knowledgeable staff. Our intriguing locations include Amalfi, Provence, Prague, Tuscany, Bath and Amsterdam. In addition to concerts in fascinating venues, our guests discover the charm of each locale through our combination of: Unique Itineraries; Charming Upscale Accommodations; Great Regional Food and Wine; Introduction to Local Products and Specialties; and Small Friendly Groups (no more than 10 guests).